Several weeks ago I wrote an article asking whether an Intellectual Property Licensing Exchange would work. The article was prompted by an announcement from the Intellectual Property Exchange International Inc. (IPXI) that its membership had grown to 27 organizations. Interested in what an intellectual property exchange would be I started looking into IPXI to learn more. IPXI is a a financial exchange that facilitates non-exclusive licensing and trading of intellectual property rights with market-based pricing and standardized terms. At the core of the business model is what IPXI calls a “Unit License Right” or ULR. According to IPXI, “ULR contracts transform private licensing of technology into consumable and tradable products, allowing for improved market transparency, smooth technology transfers, and increased efficiencies.” Essentially, ULR contracts will eliminate the inefficiencies that plague traditional bilateral licensing efforts because the exchange will act as an intermediary between patent owners and potential licensees, with rights being exchanged on an open market. This all sounded very interesting, and then I stumbled across language that made me scratch my head a bit. I found a page on the IPXI website that explained: “The ULR contract market mechanics are designed to permit the market to guide ULR contract prices to the long-term fair value of the underlying technology rights to the ultimate consumer of the rights while simultaneously preventing artificial supply-side constraints.” It was the last 5 words that caused me to twitch a little bit and wonder. That sounds peculiarly like what the anti-patent elite in Silicon Valley so frequently claim about patents in general. 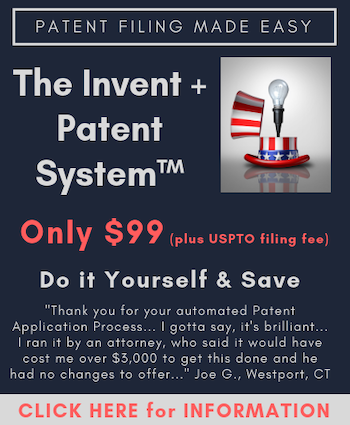 Of course, these Silicon Valley patent-haters are just trying to manipulate the patent debate because they are so large that they no longer have the ability to innovate and instead simply infringe true innovators. So when I read “preventing artificial supply-side constraints,” I was concerned whether the IP exchange and IPXI were a wolf in sheep’s clothing. I believe there are two artificial supply side constraints. First, the marketplace does not know what technology is available. If companies knew technologies were available that could really drive innovation. Second, due to inefficiency of the bilateral licensing model smaller licensees are overlooked because the cost of the deal would not warrant the cost of putting the licensing deal together. This makes a lot more sense than any kind of subterfuge concealing yet another anti-patent initiative. On top of that, Pannakoek is absolutely correct. Right now there are all kinds of technologies sitting in Universities, for example, and no meaningful way for interested companies and investors to identify which technologies can be licensed. Individual Universities are in some cases quite good about promoting their available technologies, but there is really no clearinghouse where one can go and seek out available technologies and then proceed to acquire a license in a simple, arms-length deal. This is the function IPXI will be filling. It is also probably correct to say that the current business model for licensing technologies is extremely inefficient, not only because of the lack of a central clearinghouse, but because many of those who would be most interested in acquiring rights to exciting new technologies are really too small to attract the interest of patent owners. Even if they are large enough to attract interest from patent owners it take real time and real money to acquire rights. You don’t simply walk into a neighborhood bodega and order the rights to X technology for Y dollars, put it into your knapsack and walk away. Negotiations are hardly standard, must take into account multiple unique scenarios and are like any other business deal — unique. That requires attorneys to get involved and we all know what happens then, right? Too frequently attorneys get in the way of doing a deal rather than facilitate one. After listening to Pannakoek I thought that “preventing artificial supply-side constraints” probably was a good way to describe the IP exchange envisioned by IPXI, although the modestly longer explanation was more clear and unassailably correct. The IPXI model seems very pro-innovation and very pro-patent. It just realizes that there are a lot of business externalities that work to prevent patent owners and licensees from closing deals. These externalities get in the way of new technologies being developed and businesses flourishing. The “little guys” are disproportionately unable to accept the transaction costs associated with finding and ultimately doing deals. This means the small businesses and start-ups that are the backbone of the U.S. economy are disadvantaged. If IPXI can change the externality equation then we should see a significant shift of resources into the hands of those who are most likely to innovate; those same people who are most likely to also hire new employees. Now I understand why so many Universities are jumping on board, and Universities are hardly anti-patent. In my initial article I also questioned whether there would be mechanisms in place to ensure that once a license gets exhausted it would not be passed along on the exchange to an unsuspecting acquirer. Pannakoek explained: “Under the rules of the exchange they have a reporting requirement.” Essentially, those who acquire a license must report on a quarterly basis units made under the licensing agreement. This quarterly report “is auditable by the exchange,” Pannakoek explained. In addition to the benefits of lowering the transaction costs associated with obtaining patent licenses and, thereby making licenses more accessible for smaller companies, Pannakoek also explained that when a ULR is acquired it “signals to the market a successful adoption of a technology.” That is, of course, true. It is also true that a major impediment to adoption is the existence of a market. These concerns can be alleviated by adoption by others. Adoption by others also sets a market price for future transactions, and likely for infringement litigations where some will choose to infringe and pay a royalty rather than pay the royalty in the first instance. Having a marketplace define the going rate for a fair market license will make it easier for a successful patentee plaintiffs to obtain truly fair compensation from infringers. The last issue I raised in my initial article on IPXI was how can they make complete technologies available to the marketplace? It is great to have a functioning exchange that will allow for the licensing of technologies, but any more virtually any tangible device, at least high-tech devices, are made up of many dozens, if not hundreds, of component innovations that can be individually patented. Pannakoek said this is an issue that they have been dealing with internally as they work the process of bringing the first offerings to the marketplace later this year. Indeed, this is an exciting offering, and if IPXI can work out the logistic and bundle the rights to technologies it could become something of a one-stop shop for those who want to legitimately acquire rights and not infringe, or at least minimize potential infringing activities. Yet, as exciting as this all sounds the proof will be in what ultimately transpires once the marketplace is open. For the meantime, IPXI seems to be attracting quite a lot of interest. Pannakoek told me that JP Morgan just joined. But why is JP Morgan interested? “JP Morgan joining is significant because the financial industry not only has IP of their own but they inherit IP as collateral due to investing activities,” Pannakoek explained. “When they get this IP it goes on a shelf because they have no mechanism to monetize this IP.” At least until now. The goal of IPXI is ambitious. They are seeking nothing sort of “making IP a truly new asset class.” Time will tell, but the model does seem to be pro-IP, pro-Innovation and pro-small business start-up. Those are all good things in my mind. Stay tuned! But among the problems I see with this licensing idea is that is that most product producers or sellers have no idea in advance of being sued of patent claims that might be arguably read on their products. Hence, how could they pick such unknown patents to license even if those patents were among the percentage of patents that would be offered under this system? *BTW, patent troll lawyers were even attacked on FOX business news the other night. Perhaps I’m stating the obvious, but I think a good initial target for IPXI’s services and their aim of making “complete technologies available to the marketplace” are the various SSO’s (S/standard Setting Organisations) that abound in the technology space.